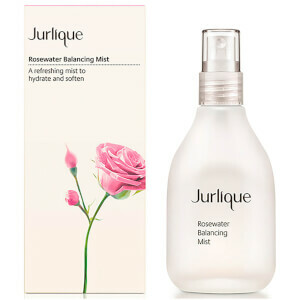 Calm, soften and soothe the skin with the Jurlique Calendula Redness Rescue Calming Mist. A rich, lightweight mist which absorbs instantly to the skin, it contains Aloe and Linseed extracts to give the skin beneficial polysaccharides and amino acids, whilst added Calendula, Chamomile, Echinacea, Self Heal, Spilanthes and Marshmallow extracts make up the unique Comfort Complex. You'll be left with hydrated, nourished and naturally radiant skin. K.D. Lightly mist onto face or mist into hands and gently press onto the skin. Aqua (Water); Glycerin; Polyglyceryl-10 Laurate; Calendula officinalis Flower Extract; Echinacea purpurea Extract; Chamomilla recutita (Matricaria) Flower Extract; Prunella vulgaris Leaf Extract; Spilanthes acmella Flower Extract; Althaea officinalis Root Extract; Hydrolyzed Linseed Extract; Aloe barbadensis Leaf Extract; Camellia sinensis Leaf Extract; Crithmum maritimum extract; Caprylic/Capric Triglyceride; Anthemis nobilis Flower Extract; Cucumis sativus (Cucumber) Fruit Extract; Citrus grandis (Grapefruit) Seed Extract; Phenoxyethanol; Ethylhexylglycerin; Sodium Dehydroacetate; Sodium Benzoate.